Muslim women love experimenting with clothes and love following new fashion trends. There is nothing wrong in doing so, as long they abide by the Islamic dressing rules and regulations. One of the much loved outfit is a long skirt. 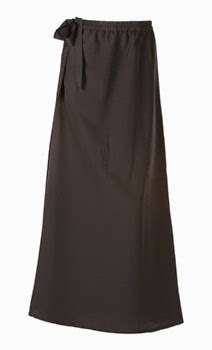 Long skirts for women not only look stylish, but are also extremely comfortable to wear. However, it is very important to pair up the skirt properly, so that the wearer looks elegant and at the same time, trendy. Here is a guide that can help you style a long skirt fashionably.